Nope its what the likes of KIG and evidently yourself say we aspire to... without any evidence to back up that this is the case or the general perception of Oldham fans. Its such a strange culture when football fans assume cos a player from some other teams youth team signs he is automatically better than what is already available (not assuming you have there Stevie btw). Hunt is young and a very good full back at our level. Id rather give him further chance ro develop than #Forestlad, who most certainly wont earn us a bean. Sometimes, as a fan, its nice to see our own young players playing games. Very true, take Edmondson for example whose career in my opinion has been stifled by having to work under at least half a dozen managers who have overlooked him in favour of taking another teams player and allowing them to serve their education and make their inevitable mistakes in our first team. As you say it's nice to see one of our own develop but also there can be financial reward by developing these players and allowing them to move on. Hypocrisy rules when it comes to loan players. To be fair edmundson went out on loan at lower league teams. Prob best way knowing our fans like to blame players. So we have a boo boy now gardener is on the side line? In order to reach the playoffs we have to gain the same number of points from 17 games that we have managed from 29. In other words we can only drop 12 points. So the order of the day now should be to develop our own players - the ones we have held on to - Hamer, Hunt, Edmondson, Stott etc. Why it was left too late to be worthwhile before signing the strikers and a defender we no longer need just beggars belief. Not sure we'd need 78 points to finish 7th? From what I've worked out the average points total of 7th place for the last 10 seasons is 71 points. So we'd need 32 points to get that from 17 games, or 1.88 points per game. Not out of the question for a form team. 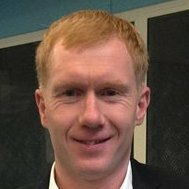 It's a lot to ask of Scholes and this squad, but season isn't a write-off just yet. No. The order of the day is to get those points. I find this down tools mentality from around January February time really weird. The play offs from here look highly unlikely but we should be going into the final 3rd of the season looking to win as many games as possible and finish as high as we can. Doesn't mean we shouldn't try and blood young players But we should be trying to pick the strongest team available. Cheers will amend topic title. If we are to stand any chance of making the playoffs, we need to pick up 9/9 from the home treble header against Yeovil, Crewe & Morecambe. My first full season. Such was the excitement, that we went to Huddersfield to watch them play Bristol Rovers to "suss out the competition". Dearnley can only be a squad filler.